Q. What does the latest Brexit breakthrough mean? A. In short, it means what was agreed in December has now actually been signed off on. There is now a legally binding agreement for how Britain will leave the EU, meaning both sides can start discussing a future trade partnership next month. Q. Does that mean the Border question has been resolved? A. No, we’re still a long way from having an answer to the ‘Irish question’. The UK has still not put any firm suggestions on paper for how it proposes to avoid a hard Border after Brexit. 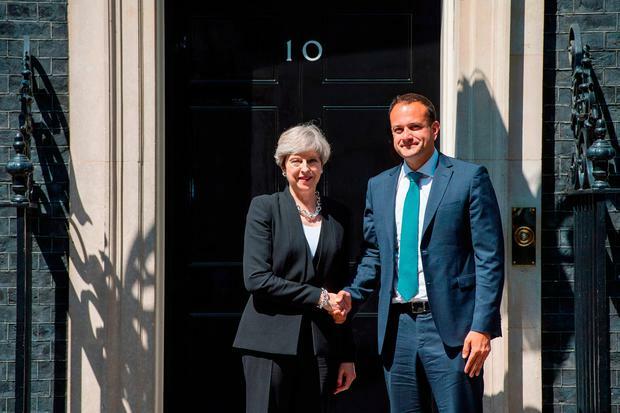 However, it has now formally agreed to a ‘backstop’ which sees Northern Ireland align its regulations with the EU in the event of a hard Brexit. Q. Didn’t Theresa May say she couldn’t agree to that? A. Yes and no. Mrs May has warned that the integrity of the United Kingdom should not be threatened. But both sides are committed to keeping a free flow of people and goods over the Border without returning to checkpoints. Q. What about the transition period? A. The UK will officially cease to be a member of the EU from March 2019. However, it will remain as effectively a non-voting EU member until the end of 2020. During this period Britain will be able to negotiate and sign trade deals with other countries while remaining covered by EU common trade policy. The deals would take effect once Britain is free to do so in 2021. Q. What is this about the withdrawal agreement being colour coded? A. At a press conference yesterday, Michel Barnier unveiled a new colour-coding system for the 129-page draft withdrawal agreement. Green means the element has been agreed at negotiator level. Yellow means the objective has been agreed but the detail is still being worked on. White means an item has been proposed by the EU and is under negotiation. The Irish protocol is a mix at the moment of green, yellow and white. A. Mr Barnier will present the draft withdrawal agreement to EU leaders on Friday. Once they give the go-ahead, the Brexit talks will finally move into the next phase.